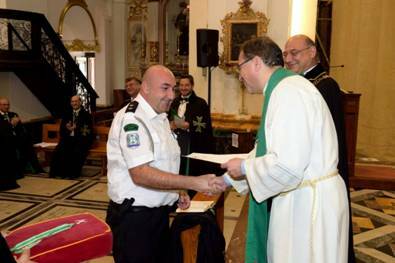 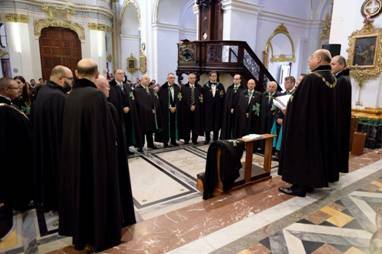 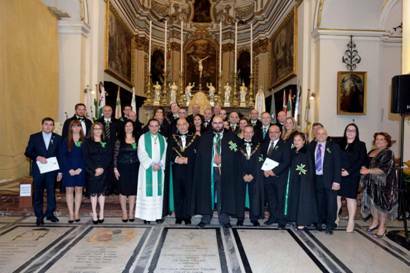 The 23rd Solemn Investiture of the Grand Priories of Malta and Gozo was held in the Church of Saint Joseph, Rabat. 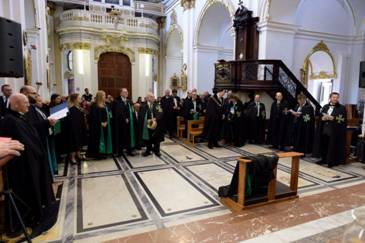 A packed congregation attended the service and also included a number of deputations from various jurisdictions which were led by the Grand Prior of Germany, the Chevalier Peter Neuen. 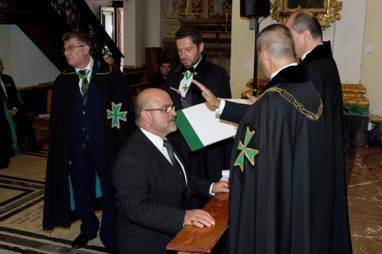 The ritual of investiture was conducted by the Grand Chancellor and the Grand Hospitaller from the Supreme Grand Priory. 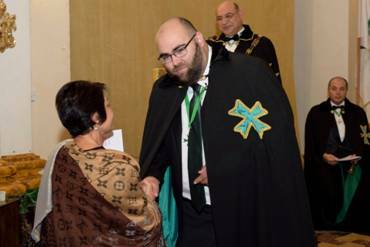 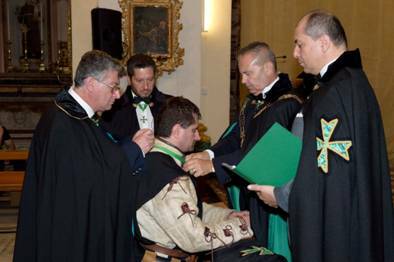 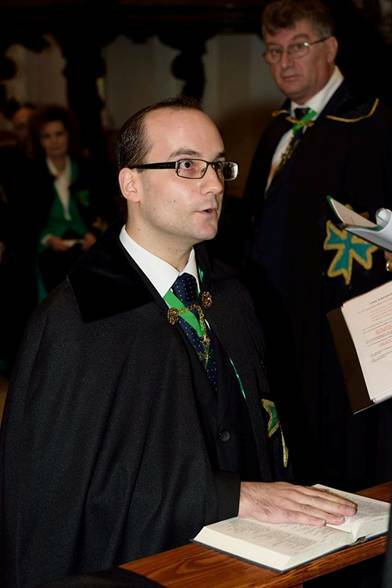 The investiture saw the Chevalier Dr. Daniel Bugeja, Knight of Grace of the Order and the Secretary General of the Notarial Council of Malta, being elevated to the Office of the Grand Prior of Malta and worthy postulants joining the Order. 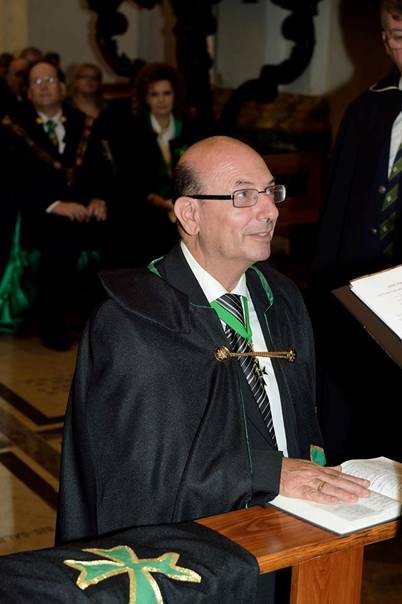 His Excellency the Monsignor Joseph Vella Gauci ECLJ CMLJ was reconfirmed as Grand Prior of Gozo. 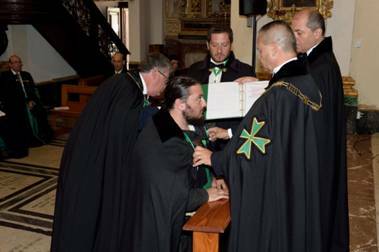 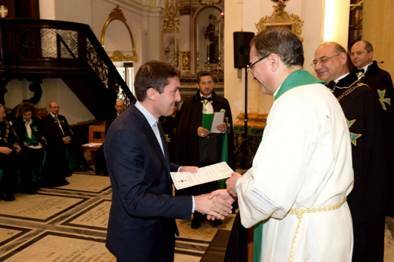 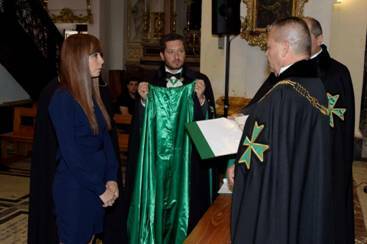 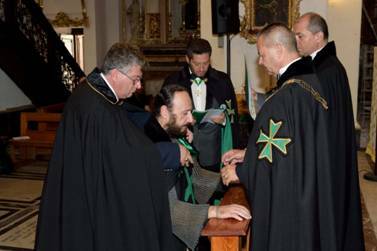 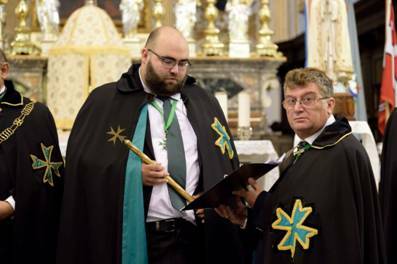 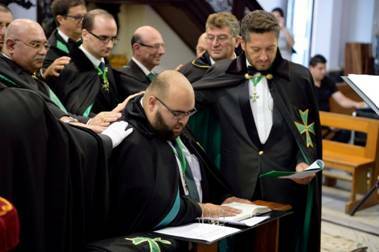 The Chancellor of the Grand Priory of Gozo, the Chevalier Charles Caruana KLJ, brought in the postulants into the Order by means of the traditional ritual of Saint Lazarus. 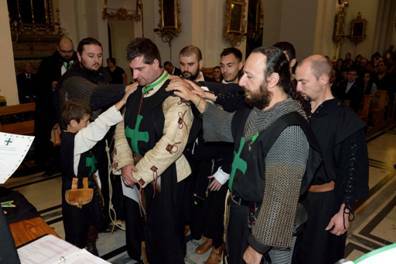 A new Commandery, named Project Lazarus Malta, headed by Confrere Sandro Cilia CLJ, was consecrated with the specific intention to teach and induct the younger generation - by means of re-enactment and educational talks and debates - the virtues of medieval chivalry and their constant implementation and emulation throughout the ages. 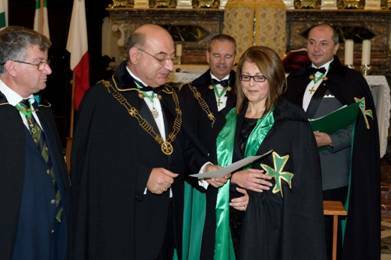 As is the norm, an extensive amount of donations were distributed at the investiture service and the ensuing investiture luncheon which was held at the Westin Dragonara. 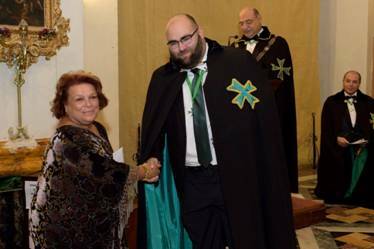 The Grand Chancellor announced that to date, during the first 10 months of 2015, nearly Euros 80,000 have been donated by the Saint Lazarus Foundation to worthy causes and institutions by means of financial and other donations.